At present China is one of the fastest growing car markets in the world and top global car makers are struggling hard to get the biggest chunk of the most promising market in the world. The rise in the sale in the Chinese market have attracted premium auto firms like Jaguar, Audi, BMW, land Rover and Mercedes-Benz, who are also gaining much profit. But in all, top Japanese auto makers are getting it hard to hold their market in China. Honda, Toyota and Nissan are the three Japanese auto maker that are facing tiring task of luring Chinese buyers. These firms have seen a serious decline in the sales in the Chinese market in past few months after the dispute that was aroused between the two countries regarding few uninhibited island in the East China Sea. This territorial dispute has led to the boycott of the Japanese vehicles by the Chinese customers. In order to gain the lost market Toyota has released two affordable models Yaris and Vios. Vios is a low cost family car while Yaris is a Hatchback; both the vehicle has been designed specially to suit the Chinese market. 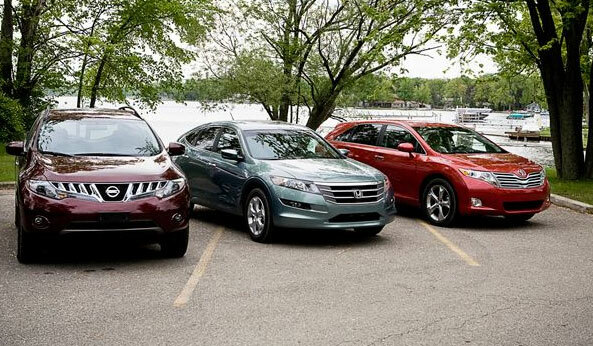 Nissan has also lineup all its SUVs and Honda is developing Jade for the Chinese market. Honda jade will be hitting the shores of China in the first phase and will be followed by further release in the other global markets. Speaking on the issue, CEO of the Chinese wing of the Toyota Motor Corp., Hiroji Onishi said that the reality is that there has not been a single model that can be considered as a big hit in the Chinese market and none of the vehicles has been able to gross 20,000 sales per month so, there can be a marketing issue that is haunting the company. So, company is now trying hard to elevate its presence in the Chinese market. Honda, Nissan and Toyota are showing off their best products at the 2013 Shanghai auto show and are trying to invoke the interest of the Chinese people. Just like India, China is also one of the most important markets for automobile and it cannot be ignored. This explains the pain these companies are taking to keep their market shares intact. Auto giant, Toyota was the largest auto company to be hit by the Japanese disaster in March. According to recent reports, the President of the company has reported his hopes that they will be able to restart their full global production in November. The production output of the company is expected to reach 90% of its full capacity this month. The president of Toyota Motor Corp., Akio Toyota, said that they are restoring their production levels at great speeds in spite of continuing aftershocks in the region. They expect that by November, they will recover their production output level to full capacity. According to reports, Toyota has returned to their pre-earthquake levels even faster than they had anticipated, with the June output reaching to 90% of what it was before the earthquake. Last month the production output had reached to 70% of its full capacity. Back in April, Toyota had said that they expected to make a full recovery by November to December. However, in spite of the production recovery being faster than expected, reports state that the company’s total production is still less by almost a million units, according to Toyota’s production plan in early 2011. The company has lost around 900,000 units by May end. As Toyota manufactures 38% of its models in Japan, in comparison to Nissan and Honda’s 25% production in Japan, Toyota received the largest impact in the auto industry. The sales of the Toyota Lexus took a dive, dropping to 51% in its South Korean market in April, 2010. The sales of other Toyota vehicles dropped by 41%, however its exports increased by 14% led by the models from German manufacturers. In 2010, Toyota managed to sell a total of 10,486 Lexus, in addition to other models in their South Korean market, which is dominated by Kia Motors and Hyundai Motors. Both Honda and Toyota, two of Japan’s auto giants, seem to have recovered from their disruption in supply chain of auto parts. Both of the company’s could recover sooner than expected. According to reports, production at plants of Toyota and Honda are likely to recover to normal, after both companies were forced to halve their productions in April. According to industry experts, their productions are likely to reach normalcy levels by July, August. Toyota, who lost their leading manufacturing position this year to GM, said that their global output declined by 47.8% in April to 308,555 models, in comparison to the same period, a year back. Honda meanwhile said that their production decreased by 52.9%, whereas Nissan reported a decline of 22.4% in production. Toyota reportedly said that it expects production at its overseas and home markets to return to 70% of its normal production rate in June, whereas Nissan said that they expect full production capacity recovery in October. 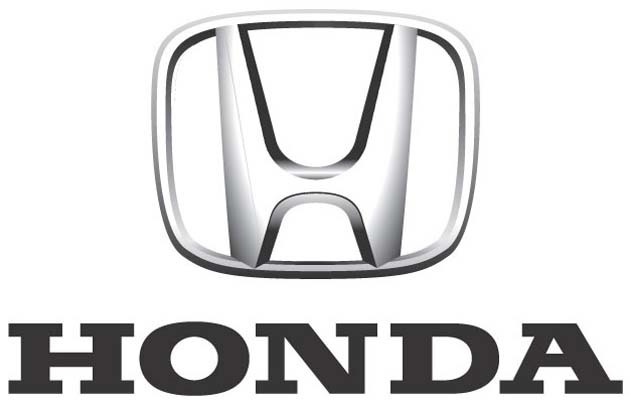 Honda, meanwhile expects to make a recovery by year-end, however it said that this was in their worst case scenario. They also said that their assembly plants in North America will not touch full production capacity till August in regards to most of their vehicles. Their high volume Honda Civic compact model will require even more time to return to normal production levels. Honda and Toyota will soon be joining other global small car manufacturers as the plant to make India a center for sourcing auto parts for their small cars. The entry level Etios sedan from Toyota recently launched in India, and Honda’s small Brio is set to launch by October in India, its second market following Thailand. Both the companies want to introduce these models in other emerging markets as well, with the main components being exported from India. Japanese auto giant, Toyota plans to produce the Etios sedan in Brazil by next year. They have already begun studies for launching the Etios in China and Russia as well. Toyota Kirloskar Motor’s deputy MD, Sandeep Singh was quoted as saying that their Etios model has opened up opportunities for Indian vendors. When they introduce it in other emerging countries, important components for the sedan will be supplied from India. TKM currently exports transmissions for their MUV Innova and their Fortuner SUV to their plants located in Southeast Asia. The company has around 107 dealers in India. The company was also reportedly starting an engine facility, which would have a 100,000 per year production capacity for the Etios by 2012, as well as a transmission facility with a 240,000 per year production capacity by 2013. Part of these productions could be supplied in their overseas markets, where their Etios sedan would be manufactured. The company’s chief engineer of product planning, Yoshikori Noritake, said earlier said that in the case of their other car models, engineers would bring their designs before suppliers and give them details regarding components, in the case of the Etios, is was the opposite. They researched with their suppliers regarding the available materials, and then designed a car suitable for their Indian market with a competitive price. Their Indian vendors have qualified to meet the quality norms set by Toyota and will therefore be able to cater to their other markets as well. Meanwhile, Honda which has joint partnership with Siel has already been exporting key body and engine parts of their Brio car to India. The CEO and President of HSCI said that the Brio was developed for the Indian auto market. They have already begun the production process at their plant in Thailand. Around 56 body and engine parts of the Brio were exported from their Tapukara plant in Rajasthan to Thailand. Japanese auto giants like Honda and Toyota are utilizing the forced halt in production of their models in India for training their workforce and resolving any problems in their manufacturing process. Auto manufacturers were forced to slow down after the March 11 earthquake and tsunami in Japan which put the supply chain of auto parts in a disarray. 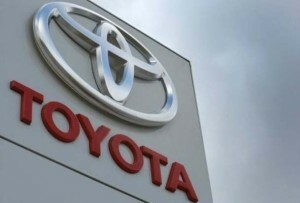 An official for Toyota Kirloskar Motors said that the idea was to use this lean period for investing in human development, to ensure that they are in a strong position when production levels are back to normal. They are focusing more on their existing customers and workforce so that their brand and production systems are not affected. They have however not put their investments on hold. Toyota and Honda are using this break to get their production processes working efficiently. The deputy managing director of Toyota Kirloskar Motors, Shekar Viswanathan said that they are making use of this break period for improving the productivity of their workforce in the long term, sharpening their skills and removing any weaknesses. TKM did not opt for any pay-cuts or lay-offs; however they slashed their production output by around 70 per cent two weeks earlier. The company will review their production schedule only by June 4. TKM has not had any breaks on its investments in the Indian market. Their proposed transmission and engine plant is right on track as the company just invested Rs.500 crore in the plant. Toyota’s competitor Honda, which also reduced production by 50%, is doing the same. 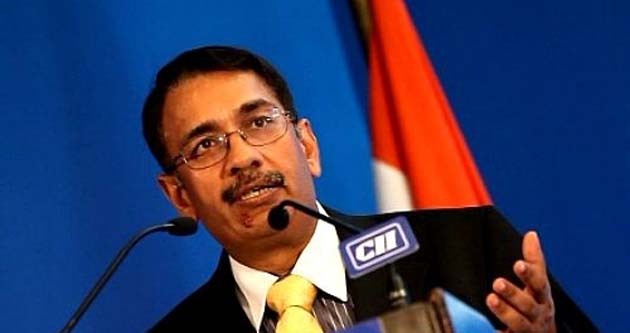 The Senior VP of sales and marketing of Honda Siel, Jnaneswar Sen said that their workforce is undergoing intensive training depending on which part of the organisation they are a part of. For instance, the marketing team focuses on quality processes and systems and the production team on localisation. Honda is also securing their production process so that it is ready to begin production of its small car, Brio when it launches in India. Sen added that their network expansion is in full swing, and they are planning to increase their outlets from the earlier 125 to 150 by the end of the fiscal year as planned. Even though Honda’s plans for their assembly line in Rajasthan are yet to take off and won’t be ready till their Surajpur assembly is operating at full capacity, they have just completed their planned expansion site in Rajasthan. This 250 crore facility will produce cylinder heads and engine blocks for the company, according to Sen. The twin disaster that struck Japan, however, could likely affect the small car plans of Honda Siel. While the company is still forging ahead with its Brio launch plan during this year’s festive season, there is still some uncertainty as to whether this event will take place as scheduled or not. The largest car manufacturer in the world is facing a difficult time in wake of the Japanese tragedy which forced it to cut down its production output following parts supply shortage. The company, however, reported an increase of 13% in new car sales of Lexus and Toyota models for the year’s first quarter in Europe. Toyota also reported that their monthly sales have been consistently exceeding their set targets since June. There were also reports that the general monthly sales of the company had crossed their 100,000 mark in March, a first since the same month in 2009. This was caused because of improved demand for their Land Cruiser, RAV4, Auris and Aygo. Toyota also reportedly claimed that their new Lexus CT 200h and Verso-S had strong debuts in this year’s first quarter. The sales of their hybrid Lexus and Toyota vehicles also increased by 28% compared to their sales in 2010. March was also a great month for Toyota, with their global hybrid vehicle sales touching the 3mn mark. The sales of Toyota also increased by 28% in Ireland in this year’s first quarter, compared to 2010, while the sales of their Lexus model increased by 62% in comparison to the same period.